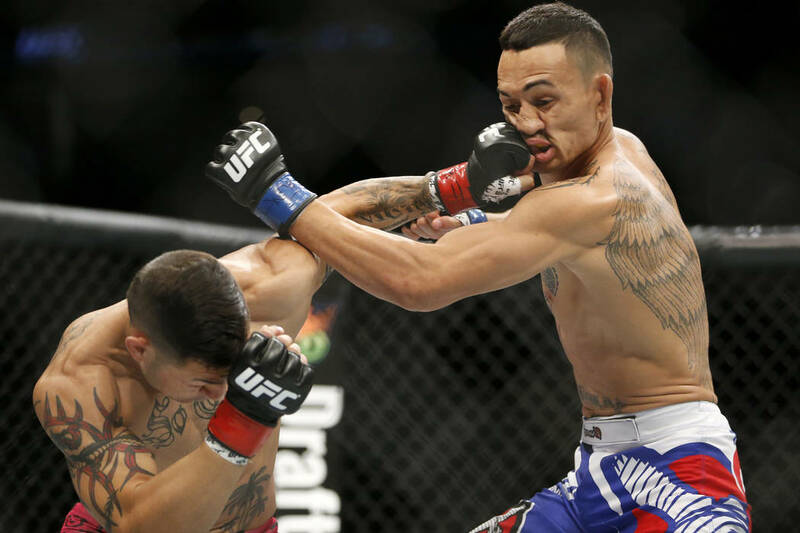 A breakdown of the fights on the main card of UFC Fight Night 123 on Saturday at Save Mart Center in Fresno, California, with picks from the Review-Journal’s Adam Hill and Heidi Fang. Storyline: Ortega combines elite submission skills with some real power in his strikes to make himself a real threat to win the 145-pound title at some point in his career. 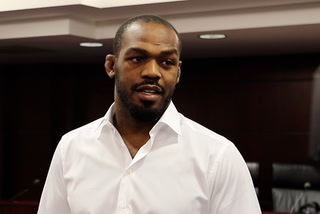 He is taking a massive step up in competition for his first UFC headlining spot, however. 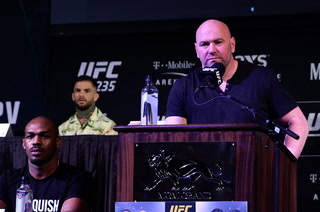 How Ortega handles the spotlight and the challenge of one of the best featherweights in the world will go a long way in determining how ready Ortega may be to start thinking about that kind of opportunity. Swanson is extremely well-rounded and has proven capable of finishing fights in a variety of ways. A winner of four straight, the 34-year-old Swanson has seen it all over the years in 21 fights under the Zuffa banner. 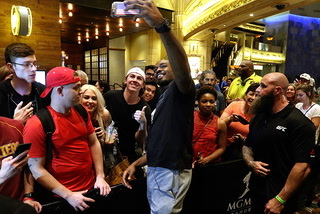 He hopes a win will finally get him a UFC title shot. Storyline: Knight is a fan-favorite and may have been pushed up the ladder a bit too quickly. He had his four-fight winning streak snapped in July when he took a big step up in competition and suffered a loss to Ricardo Lamas. Now he gets the chance to bounce back against an opponent below him in the division’s pecking order. 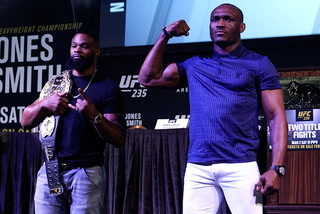 It will be interesting to see who pushes the action as these are two of the most aggressive fighters in the division. There should be action right from the opening bell. Knight won’t back down from a wild brawl, though his attack may be slightly scaled back after he suffered a pretty one-sided beating the last time out. Benitez, who was on the first season of “The Ultimate Fighter: Latin America,” has earned 10 wins by submission in his career. This is probably the early favorite for fight-of-the-night. 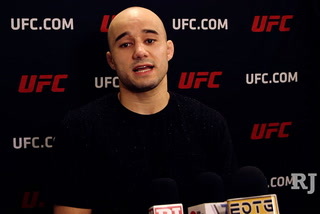 Storyline: Moraes, the former World Series of Fighting bantamweight champ, expected to step right into title contention upon abandoning his title to sign with the UFC. It hasn’t quite worked out that way. Moraes has split a pair of split-decisions in two fights since joining the organization, but can take a huge step forward in the rankings with a win over Sterling. It’s actually a great stylistic matchup for Moraes. His biggest strengths are leg kicks and his takedown defense. Sterling is also very good with his kicks, but he is best when he shoots and overpowers his opponents to secure takedowns. 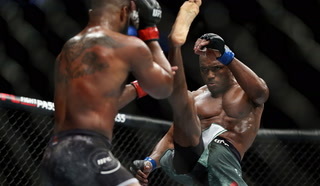 That will be a very difficult strategy to pursue against Moraes, who can not only keep the fight standing, but punish Sterling’s legs with kicks for the effort. Sterling’s boxing has been getting better. Whether he is competent enough in the discipline to stand in the pocket against Moraes could determine whether he can have success. Storyline: This is a very-evenly matched fight on paper. 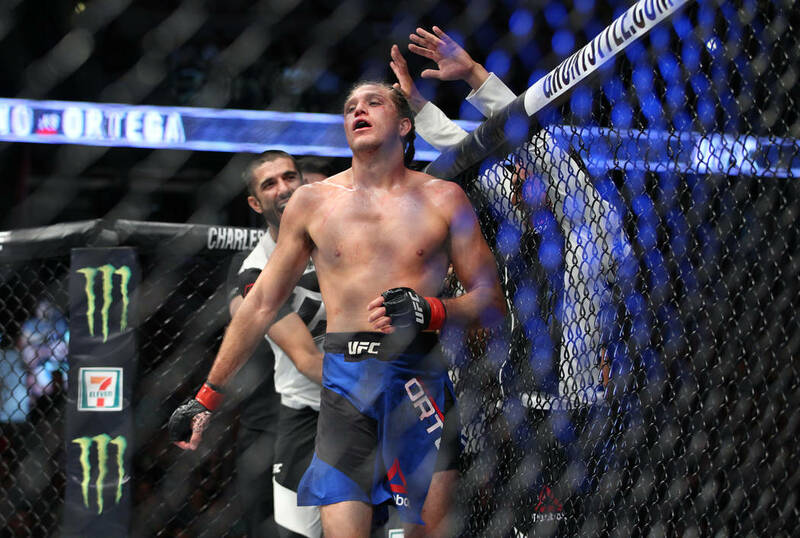 Holtzman has alternated wins and losses since signing with the UFC and will be in search of his first two-fight winning streak. Horcher is 1-1 in the organization, but the loss was as a very late replacement in a bout against undefeated star Khabib Nurmagomedov. There’s certainly no shame in that. He bounced back with a win over Devin Powell in June. Horcher may look to get the fight to the ground and Holtzman has been a bit susceptible to the takedown, but the problem with the strategy is that Holtzman probably has a better submission game once it gets there. 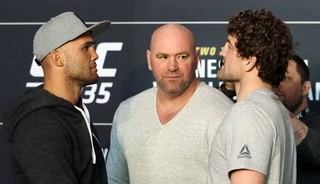 If it becomes a brawl, which is entirely possible, Holtzman has the heavier hands even though he hasn’t recorded a knockout in the UFC. He may be able to finally do that here. Holtzman finally started to look a little more comfortable in his last fight, a win over Michael McBride. Storyline: A matchup of two of the most recent middleweight champions from Legacy Fighting Alliance. Both have a good track record of finishing opponents, though they tend to get there in different ways. Anders, who played linebacker at Alabama, is incredibly aggressive and tends to swarm his opponent from the opening bell. Perez employs more of a patient attack as he likes to pick his spots and take advantage of any openings he can find. 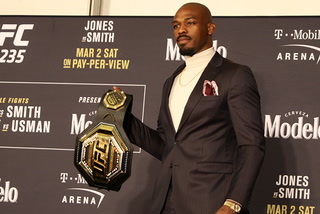 Anders has the advantage of already having competed in the UFC, when he quickly dispatched veteran Rafael Natal in July. Perez was signed as a late replacement. 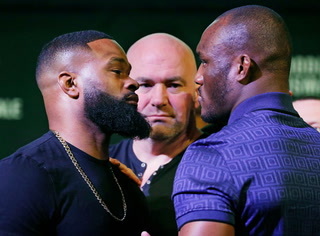 This fight very likely would have happened as a main event had both stayed in LFA, but instead they get to test their skills on the bigger stage of a UFC main card. Storyline: Lopez, who trains at Team Alpha Male in Sacramento, California, tore through the regional circuit with five straight stoppage wins to earn a shot on Dana White’s Tuesday Night Contender Series. 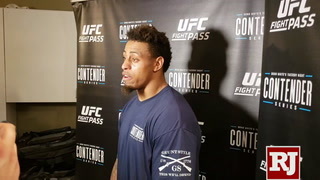 He earned a split-decision win and was awarded a UFC contract on the show. Now he makes his official UFC debut against Morales, who has had mixed results in four previous UFC fights. Morales has gone 1-2-1 in the organization with the one win coming by split decision. The caveat would be that he has faced a pretty high level of competition, particularly in the losses. This fight had some heat added to the mix on Friday when Lopez shoved Morales at the weigh-ins. 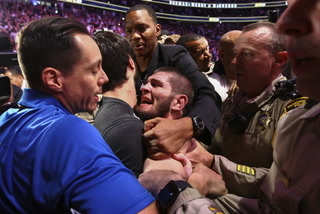 He was fined $1,000 for the transgression, but will get a chance to fight for real to open the main card.